Have you ever wondered why every planet we know about is shaped like a sphere? Why not a cube, or a triangle or an hourglass? While those—and let's be honest, most other shapes—would definitely break the laws of physics, there's one odd planet form that wouldn't: a donut. A planet in the shape of a donut, or toroid, as it's called in mathematics, could technically exist, but it would have to jump some steep physics hurdles to get there. Planets are round because gravity pulls inward. To keep the hole, or hub, at the center of a toroid planet from collapsing, you'd need an equal outward force. Centrifugal force (the force you feel when a spinning merry-go-round nearly sends you flying) could do the trick, but it would mean that the planet would have to rotate at an extremely high rate. That would most likely make a day on a donut-shaped planet last just a few hours. Its shape would also do funny things to gravity. That centrifugal force would make gravity the weakest at the equator (which, by the way, it is on Earth too). Gravity would be strongest just inward from the poles. But unlike the minor differences in gravity on Earth, these differences would be massive: more than twice as much near the poles as at the equator. That means a vacation to the tropics would come with instant weight loss — a pretty good deal. But don't pack your bags just yet: remember that high rotation rate? It would make for harsh weather. We're talking intense winds, zoned climates with massive temperature differences, and small, super-strong storm systems. Knowing about how a theoretical planet could form tells you a lot about your own planet. 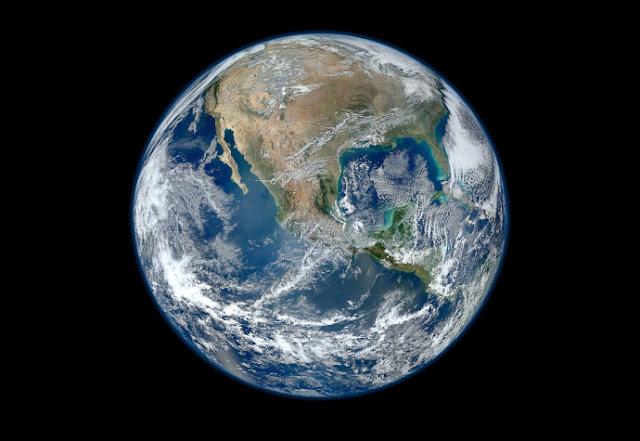 Who knew that Earth's sphere shape is why gravity is mostly the same all over, and its 24-hour rotation is why the weather is relatively pleasant? Of course, there's another reason imagining a donut-shaped world is worthwhile: it's just plain cool. Great blog. Thanks for sharing post this with us.